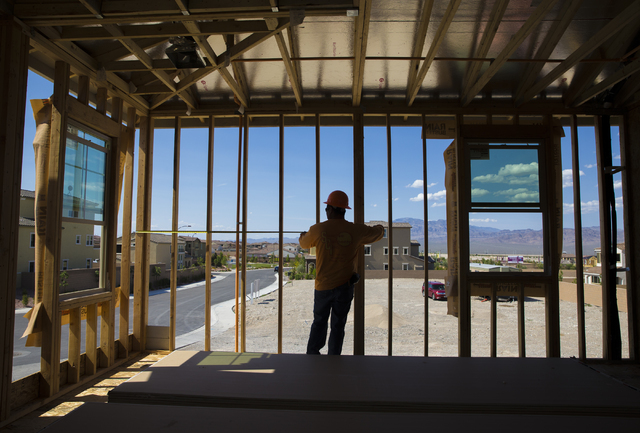 The housing market in Southern Nevada, for resale and new-home construction, is on a course to see an increase in activity in 2017. 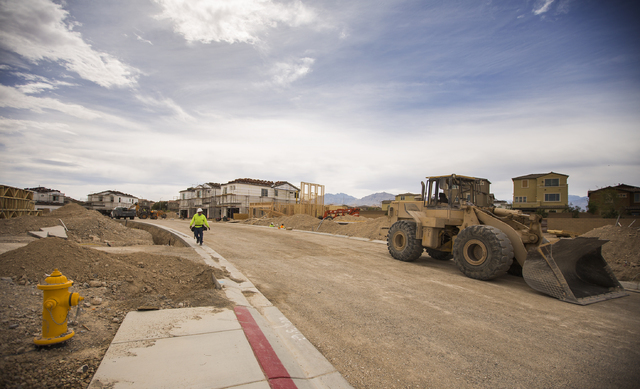 The housing market in Southern Nevada, for resale and new-home construction, is on course to see an increase in activity in 2017. “Valleywide, we’re looking at over 8,000 new home closings in 2017,” said Brian Gordon, principal at Applied Analysis. That’s an increase over the 7,700 new homes sold in 2016. The 2016 total was also 13 percent higher than the number of new home closings in 2015, Gordon said. Klif Andrews, Las Vegas division president for Pardee Homes, has definitely noticed a spike in sales over the past few years. In 2016, Pardee moved 500 homes, Andrews said. For 2017, the homebuilder expects to see more than 550 close escrow. Andrews said he doesn’t see the increase in sales as a boom, but more of a “very steady positive improvement,” which he sees continuing. Much of the uptick in sales is being driven by positive economic fundamentals, such as growth in the number of jobs and wage level. Wage growth seems to be on the rise across the country, with the most recent jobs report from the U.S. Bureau of Labor Statistics showing the highest gains since the depths of the recession. National wages increased 0.4 percent in December, equating to an annual increase of 2.9 percent, the largest rate increase since mid-2009. In Nevada, unemployment fell by 0.3 percent to a seasonally adjusted rate of 5.2 percent in November 2016, from October’s rate of 5.5 percent. The Nevada Department of Employment Training and Rehabilitation reported this to be the lowest rate since December 2007. The new home market is facing challenges. “The builders face the challenge of higher land costs, higher development costs, higher regulatory fees; all of those increased costs ultimately flow through to the retail price of the home,” Gordon said. The market has stayed positive. The median price for new homes was about $330,000, according to data from Applied Analysis. That number is projected to increase by 2 percent to 3 percent in 2017, Gordon said. The cost of new homes has increased over the last 12 months. In December 2015, the median price on new homes was $310,814, said Dennis Smith of Home Builders Research. These prices tower over April 2011, when the median price was $188,450. Construction was down slightly in 2016 over the previous year, with 104 new projects opening up last year. In 2015, there were 110 new housing developments that started, according to data from Home Builders Research. Developments started in the last two years equated to roughly 46 percent of the 397 new developments that have started since 2013. The number of new developments should pick up steam in 2017. Smith is projecting between 9,000 and 10,000 permits pulls for the coming year, just ahead of 2016’s 8,544 permits. This is still far below the 32,010 permits pulled in 2004 but more than double the amount of permits pulled in 2011 when there were only 3,732 issued. There has been an increase in certain types of product around the valley, mainly luxury. Smith said the number of builders constructing homes costing more than $750,000 has increased in the valley. Andrews said Pardee is opening a luxury community in Henderson, south of Horizon Ridge Parkway and Green Valley Parkway. Its new community, Axis, will be unveiled in March, with prices starting in the $800,000s. Most of the potential buyers of this product are from the baby boomer generation from all over the country. 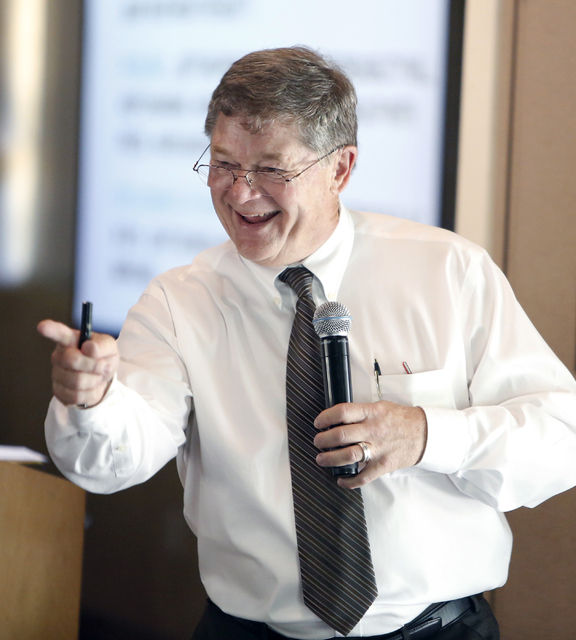 One of Las Vegas’ biggest appeals is Nevada’s tax structure, Smith said. The resale home market, which includes single-family homes and the condo and townhome market, had a robust year in 2016, with 46,000 transactions sold through the multiple listing service and those without a real estate agent, Gordon said. Prices have increased for single-family homes. A report released in January by the Greater Las Vegas Association of Realtors showed the median home price of $235,000 for single-family homes in the valley in December 2016, an increase of 8.3 percent over December 2015. That number, however, fell by just over 2 percent from November’s $240,000 value to December — which was blamed on seasonality. Smith is projecting prices to rise by 8 percent to 10 percent in 2017. 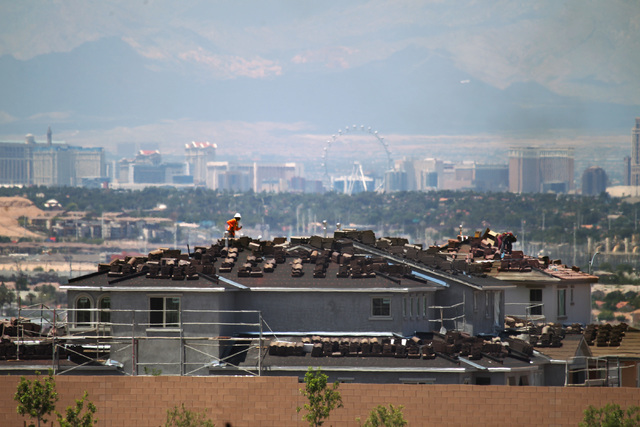 But the average price for a home in the valley will still be far below the 2007 peak of $315,000, said David J. Tina, 2017 president of the Greater Las Vegas Association of Realtors. The market is still faring well. In January 2012, home prices bottomed out at $118,000. The amount of homes available in the market hasn’t affected overall sales activity. Despite GLVAR’s report citing a low supply of houses available for sale in the valley, it cited an increase in the number of overall sales in the resale market in December. The number of homes sold in December 2016 was 1.3 percent more than was sold in December 2015. And the number of home sales was up 4.6 percent in December 2016 over November 2016. As pricing continues to increase and with availability remaining relatively tight (less than three months of effective inventory), the volume of sales may subside slightly in 2017, he said. The local housing market has also seen positives in the types of sales in Las Vegas, with distressed sales activity decreasing, with these types of sales below 10 percent of the activity that once dominated the market, Gordon said. There also has been a decrease in real estate-owned (REO) sales, short sales and auction sales. On the frontier for the national and local housing market are potential increases in interest rates. Aaron Terrazas, senior economist at Zillow, said the needle on interest had increased by about 60 base points over the past couple of months, at the end of December. Earlier in the year, Terrazas said interest rates decreased after shocks such as Brexit brought them down. But after the presidential election of Donald Trump, interest rates started to shoot upward. And those rates will likely go up in 2017, Terrazas said. Rates are just over 4 percent and we could see this rate grow to 4.5 percent to 4.75 percent by the end of 2017, he said. Overall, slight increases don’t make a big difference, Terrazas said. But several increases could create a different scenario. Terrazas explained that every increase of 25 base points in mortgage rates would roughly translate into an extra $20 tacked onto a mortgage payment. Battany is also predicting rates to go a bit higher in 2017, though it was a bit early to forecast, he noted. With rates running up, there are some dangers for the housing market, including affordability for some markets. On top of a bustling economy, Battany pointed to other things that could cause interest rates to go up, one being the action by the Federal Reserve on mortgage-backed securities. Under the Fed’s quantitative easing program, which was launched at the beginning of the Great Recession, the agency has purchased roughly more than $2.7 trillion in mortgage-backed securities and continues to reinvest the money it receives from current MBS holdings. Through this action, the Fed has kept interest rates low. But Battany sees the economy as an important factor as well, when it comes to potential homebuyers. “I would view that job growth and wage level are as important or maybe even more important than interest rates, in terms of how many more homebuyers or homeowners you’ll have in 2017,” he said.